Applications are invited from suitably qualified candidates for admission into Doctoral, Academic and Professional Masters’ and Diploma Programmes of the University of Jos in the 2017/2018 Academic Session. i. 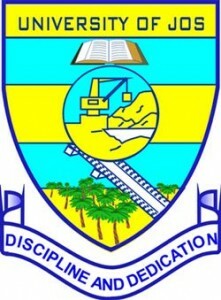 Visit mis.unijos.edu.ng and scroll down to select Application Forms. Click Create Account to create an account using a functional email address and phone number. ii. Log in to your email to verify the account created and generate a unique application form number. (RRR) and pay the Fifteen Thousand Naira (N15,000.00) only Application Form Fee using any of the available channels such as Bank Branch, Internet Banking, Debit (ATM) Cards, etc. iv. Visit mis.unijos.edu.ng and scroll down to select Application Forms. Click Continue Registration and log in with your email and password to continue filling out the online Application Form. v. Carefully fill out and save each tab. Also ensure that you upload the required credentials and certificates in pdf format. vi. After filling out all the tabs, click Complete Application to submit the application. vii. Download, print and transmit the Transcript Request Form for your transcript to your University to process, with the address of Department of your choice. The hard copy of your transcript should be sent directly to the Department of your choice, and not to the School of Postgraduate Studies. a. Only valid and functional email address and phone number should be used. All further correspondence will be done through the email address and phone number provided. b. Referees forms are sent electronically. You must therefore provide referees’ valid and functional email addresses and phone numbers. Note that once the Referee Form is correctly completed, it will automatically go to the relevant Department. c. Corrections on personal information or change of course after completion of application form may attract a fee. Therefore, ensure the online form is carefully and correctly completed. or before 31st August, 2017.